The DesignIntelligence website just posted an article I wrote, also published in the May/June technology issue of their printed journal, entitled BIM Beyond Boundaries. The hard copy of the journal will cost you $365. And while this also gets you a Design Futures Council membership with the DesignIntelligence subscription, most of their articles are available for viewing 24/7 free. While I consider this piece my summa, or summary statement on a topic that is very important to me, it is really too long for a standard blog post. I would really like you to read this post on the DesignIntelligence website. The reason I am posting it here is because after reading it I would like you to leave a comment. And you are only able to do that here. Tell me if I am off the mark or if you agree with what is said here. Tell me what you think. I’m in this to learn from you so please consider taking me up on this chance to provide some constructive feedback. Thanks! Opting for depth over breadth of expertise is a false choice that will lead individuals, organizations, the profession, and industry in the wrong direction. Several forces are converging to create an unprecedented and timely opportunity for organizations that have embraced building information modeling (BIM). These forces — including the rise of the expert, the growing complexity and speed of projects, and BIM’s increasing recognition as an enabler, catalyst, and facilitator of team collaboration — also present significant challenges that can be overcome with the right approach and mindset. At one time, being an expert meant knowing more than one’s competitors in a particular field. Firms that reinforced their expert culture hoarded information, which resulted in silos of expertise. Today, many firms are looking to hire people perceived as building and software technology experts, shortsightedly addressing today’s needs at the expense of tomorrow’s. While architects have always been trees with many branches, our current economic climate has discouraged them from being anything but palm trees: all trunk, no branches. And yet things change so quickly that those who went to bed experts are unlikely to wake up experts in the morning. Due to the speed and complexity of projects, we do not have time to acquire knowledge the old way — slowly, over time, through traditional means. Even when we supplement our book learning with conferences, webinars, and continuing education, it is impossible to keep up with the flow of new information in our industry. Expertise today is a much more social, fluid, and iterative process than it used to be. Being an expert is no longer about telling people what you know so much as understanding what questions to ask, who to ask, and applying knowledge flexibly and contextually to the specific situation at hand. Expertise has often been associated with teaching and mentoring. Today it’s more concerned with learning than knowing: less to do with continuing education and more with practicing and engaging in continuous education. Social media presents the would-be expert with both opportunities and challenges. Working with the understanding that somebody somewhere has already done what you are trying to do, design professionals, like agile technology experts, can find what they’re looking for by tapping into their networks and aggregating the responses. Conversely, due to the rise of social media, virtually all anyone has to do today to be considered a technology expert is to call themselves one. Because social networks allow people to proclaim themselves experts, it can be hard to know who to turn to, resulting in the rise of otherwise unnecessary certifications. An expert today is someone whose network, community, or team deems him or her so. Such acknowledgment from one’s community can be considered a form of social certification. To grow one’s professional reputation, expertise in BIM counter-intuitively requires unlearning, detachment, collaboration, and developing both deep skills and broad interests. As we grow in our careers, we tend to focus more on people issues and less on technology. We also tend to cooperate conditionally, responding to the behavior of others. This has huge implications for design and construction professionals who might be naturally collaborative — through sharing knowledge, learning, mentoring, and teaching — but are otherwise conditioned and tempered by the culture of the firm where they work. Working in BIM provides an unprecedented opportunity to learn: how buildings go together, how projects are scheduled, cost implications of decisions, and impact on the environment. At the same time, there is a great deal we still need to unlearn with BIM. We can start by asking some questions: Which aspects of the traditional design process change with BIM and which stay the same? What knowledge, methods and strategies must be abandoned due to BIM and what is critical to keep? And perhaps most important: What, while learning to work in BIM, needs to be unlearned? While unlearning habits we picked up working in CAD would seem like a good place to start, there’s also a great deal we need to unlearn in order to return to our original sharing attitude and cooperative ways. These include bad habits we’ve acquired since we left the cocoon of school and embarked on the hard knocks of a career in architecture and construction, where we may have learned to be mistrustful, skeptical, competitive, secretive, and working independently in silos. In doing so, we’ve unlearned many of the critical natural habits, attitudes, and mindsets necessary to work effectively and collaboratively on integrated teams. From Japanese martial arts there’s the concept of shuhari: First learn, then detach, and finally transcend. As consultant Ian Rusk has explained, shu, ha, and ri are considered three phases of knowledge that one passes through in the study of an art. They can be described as the phases of traditional knowledge, breaking with tradition, and transcending it. Working in BIM, we need to address all three steps to meet our goals. Of the steps, the second (detachment, or breaking with tradition) is the most important. Detachment requires that we remain flexible and agile while learning, not holding on tightly to our ideas, agendas, or prejudices, so that we can move beyond them. While we as an industry have now lived with BIM for more than two decades, most firms have acquired and implemented the technology primarily as a visualization and coordination tool in the past several years. We appear to have reached a standstill in the software’s use, with many firm leaders wondering how to make the leap to more advanced uses. Further mastery of the application through traditional means won’t help us get there. If we are to achieve our personal, organizational, professional, and industry-wide goals of fully participating in public, community, creative, and economic life, something more needs to happen. Achieving higher levels of BIM use — including analysis, computation, and fabrication — requires skills and a mindset that allow us to work productively and effectively in a collaborative setting. Working with BIM enables but doesn’t necessarily lead to collaboration. We each have to decide whether or not to look beyond BIM as a tool and embrace it as a process. When recognized as a process, BIM can be a powerful catalyst and facilitator of team collaboration. It would be a mistake to assume that expertise in BIM as a technology alone will lead to greater leadership opportunities on integrated teams. In this capacity, BIM requires attention to acquiring skills that, while easy to attain, can be overlooked if we focus primarily on the software tools. With BIM, technical expertise should not be considered more important than increasing one’s social intelligence, empathy, or the ability to relate well with others. Additionally, the conventional window for achieving technological expertise is too long. Better that one achieves a high level of BIM competency motivated by passion and curiosity. Having competency in one subject doesn’t preclude you from addressing others. In fact, it can be a determinant for doing so. Being versatile flies in the face of current thinking that to succeed we should bolster our strengths over our weaknesses. The answer to Should I be a specialist or generalist? is yes. There must be people who can see the details as well as those who can see the big picture. One gift of the design professional is the rare (and underappreciated) ability to do both simultaneously. As with any hybrid — generalizing specialist or specializing generalist — one’s strength provides the confidence to contribute openly from many vantage points and perspectives. It is critical for “T-shaped” experts to reach out and make connections (the horizontal arm of the T) in all the areas they know little or nothing about from their base of technical competence (the vertical arm of the T). T-shaped experts have confidence because of their assurance that they know or do one thing well. Their confidence allows them to see as others see by means of — not through — what they know. Their expertise doesn’t color their perception so much as provide a home base to venture from and return to with some assurance that they’ll maintain their bearings when venturing out across the table. Broad-minded design professionals often find themselves in the role of “anti-experts,” approaching challenges from the perspective of the outsider. To this Paula Scher of Pentagram said, “When I’m totally unqualified for a job, that’s when I do my best work.” Once we balance, own, and ultimately realize our expert and anti-expert selves, we (as a community, profession, and industry) will do our best work. Firms want to know how to optimize their work processes to become more efficient at what they do best, to remain competitive by leveraging the competitive advantage of BIM and integrated design. One of the ironies facing the industry is that in order to master BIM, don’t learn more BIM. Instead, do other things. What will bring about greater efficiencies and effectiveness, increase productivity and deliver value, is not additional technology knowledge but our ability to communicate, relate, work together, think like one another, have empathy, understand, and listen. If design professionals want to lead they will do so not by increasing their depth but by benefit of broader capabilities involving their reach. What do we do now? Go wide and deep. Go against common wisdom and fortify your soft skills, your reach and wingspan. To master BIM you have to transcend BIM. We need to develop both sides of ourselves in order to move beyond our own and others’ biases and anticipate consequences for courses of action before they are acted upon. We need to develop the ability to put the project first, navigate iRooms and packed conference tables to get our ideas and points across, be able to read people for overt and subliminal responses, have the confidence to ask questions without feeling threatened and be asked questions without becoming defensive. It is as though we have placed so much emphasis on the bricks we’ve forgotten the mortar that allows us to communicate genuinely, to relate well with one another and integrate. Having to choose between depth and breadth is a false choice that heads our profession and industry in the wrong direction. Rather than focusing on one over the other, we need to develop simultaneously vertical deep skills and horizontal soft skills, to work on our strengths and weaknesses, to be expert and anti-expert, specialist and generalist, to design from evidence and from intuition, to be task- and people-oriented, to have mastery over one thing and be a jack-of-all-trades. As one blog commenter recently asserted, “In order to practice architecture well, you need to understand a lot of things that aren’t architecture.” BIM technology experts know one thing. To flourish and persevere, we need to know and do many things. Often overlooked in mutual mentoring of computer technology and building technology by senior and junior staff are basic people skills: listening, questioning, negotiating, collaborating, communicating. The concern is that the emerging design professional — adept at BIM tools while learning how buildings come together — won’t learn the necessary communication and people management skills to negotiate a table full of teammates on an integrated team. These skills need to be nurtured, mentored, and acquired as assuredly as computer and building technology skills. These skills require the same amount of deliberate practice and feedback as the mastery of technology skills. Developing complementary, collaborative skills is as critical as becoming competent with the technology. As Ernest Boyer anticipated, “The future belongs to the integrators.” And that future has arrived. Succeeding in practice today is a both/and, not an either/or, proposition. Design professionals must be both BIM technologist and building technologist. Those who accept this model will lead, persevere, and flourish in our new economy. Last year in DesignIntelligence, Stephen Fiskum wrote, “One thing is certain: The solution to the current malaise in our profession is not for us to go broader but to go deeper” (“Preparing for a New Practice Paradigm,” January/February 2010). This is a new world: By going wider and deeper we provide owners and our organizations with the most value and increased productivity. Working effectively and collaboratively in BIM will help us transcend our current state, bridge the gap, and cross over to more advanced uses. It is not just that the integrated team is now multidisciplinary, but we each must become multidisciplinary. Doing so requires a multidisciplinary mindset. This entails empathy, a genuine appreciation for others’ ideas, seeing from many perspectives, and anticipating possible consequences to any course of action. An industry representative recently stated in a public forum, “I don’t want the architect to think like a structural engineer. I need for him to think like an architect!” To leverage our technology tools and work processes, being an architect today means that we think like a structural engineer as well as a contractor and owner. Doing so doesn’t take away from architects’ role but increases their credibility by making them more effective and influential at what they do well. Working in BIM — inward focused, object-oriented, filling-in dialog boxes — discourages this mindset. It is a mistake to think that those who work in BIM are technicians and that a firm principal or senior designer who sees the big picture will mediate between the model and the world in which the model operates. Leaders must see to it that their teams look outward, keeping an eye on the model while seeing the horizon. Working in CAD, there are those who focus on drafting and those more adept at communication, negotiation, and persuasion. With BIM, technical understanding and people know-how must exist in each and every design professional. The majority of BIM-related literature has been focused on the technology, not on the people who use it. People issues and attitudes are the main impediment to the collaborative work processes enabled by the technology. Human issues, issues of communication and collaboration, firm culture, motivation, and workflow — all exacerbated by the advent of BIM into the workplace — are an even greater challenge than the admittedly considerable software application and technical problems associated with BIM’s use. Working in CAD, a senior team member would redline an emerging employee’s work. Leadership was decidedly top-down: Someone senior designed or detailed, and someone less senior drew it up. The problem was that the senior team member never knew whether the emerging employee understood what was being drawn. Working in BIM provides a completely different work flow — one we have yet to leverage fully. Because those on the front lines are not only the first to discover clashes and inconsistencies but also to visualize what something looks like and how it might function, BIM allows our emerging talent to lead the process — to learn on the job while recognizing their power from their privileged position of the first look in the model. The new leadership mandate in this process is for architects to lead from their involvement in the BIM environment. Leading from the model can be likened to leading from the middle in that BIM requires and even enables followership, and servant- and situational-leadership, as opposed to top-down or command-and-control. While leadership historically has been top-down, working in BIM and on integrated teams changes that. Leading in BIM and integrated design is more similar to followership, in which middle managers lead from within the organization. Thus with BIM, the top-down and bottom-up approaches converge, where leading from the middle becomes leading from the model. Architects who find themselves on increasingly large teams must find a way to lead and regain their voice in the design and construction process. If architects learn how to design buildings that are optimized to give owners, contractors, and other team members what they need — of high quality, low cost, sooner, with less waste, while acquiring the mindsets, attitudes, and skills necessary to collaborate with others — then architects will be trusted, newly esteemed, and return to their desired leadership role. What is critical is not that we linearly help emerging professionals move from technical experts to leaders but to be technical experts and project, team, and process leaders at the same time. Expertise is cultivated by creating the right conditions for experts to flourish; people cannot be forced to learn and grow. Many A/E/C professionals are stressing the role of the team over the role of any one individual mastering any one subject or technology in advancing practice. The general consensus is that appointing any one individual as master of the project is largely irrelevant. Instead, the architect who works in BIM serves as master facilitator or strategic orchestrator on integrated teams. By working with as well as through others, we get the most out of fellow teammates. The concept of the composite master builder is the brainchild of visionary environmentalist Bill Reed. The term recasts the historical single master builder (or virtual master builder) as a diverse group of professionals working together toward a common end: the master builder team. The intention is to bring all specialists together, allowing them to function as if they were one mind. A better prescription for what ails our industry would be hard to find. 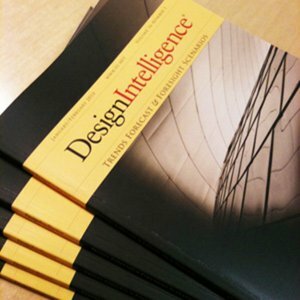 Randy Deutsch is an architect, speaker, educator, and author of the book BIM and Integrated Design: Strategies for Architectural Practice http://amzn.to/jSguAi (Wiley, 2011.) He is cofounder of Deutsch Insights, an innovation and collaboration consultancy, and blogs at www.bimandintegrateddesign.com and www.architects2zebras.com.